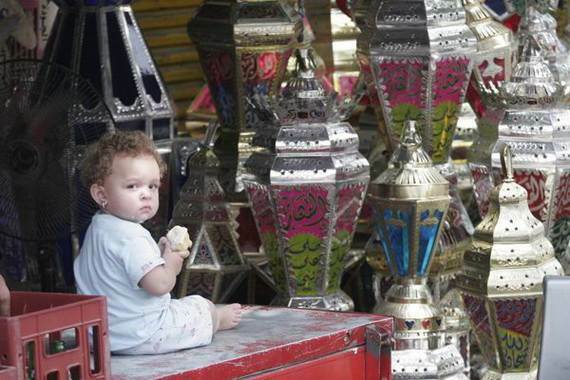 The Origins of the Ramadan lantern -Fanous- of Egypt and Beyond… Well it’s that time of the year again; Ramadan… the ninth month of the Arabic calendar. 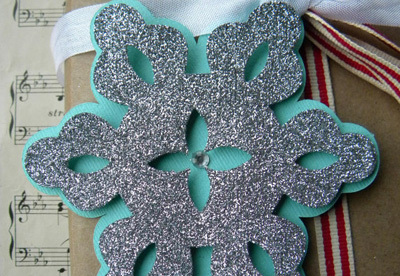 Ramadan is a well-known practice of Muslims all over the world especially the Islam religion. Ramadan is the Muslim holy month and the main ritual for all Muslims in the world, where the Quran was bestowed upon Prophet Muhammad. 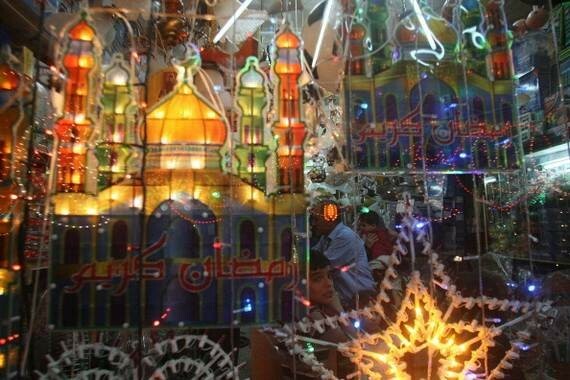 Celebrating Ramadan, reminds Muslims of the Islamic symbols of spirituality, forgiveness, general generosity and specifically feeding the poor and of course its celebrations… in Egypt Ramadan has its own unique feel. 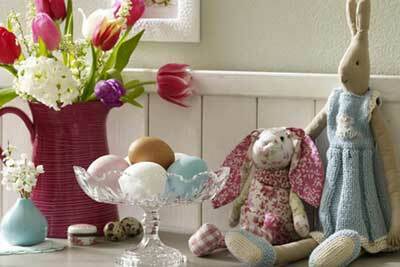 What is a Fanoos and what is the meaning of Fanoos? 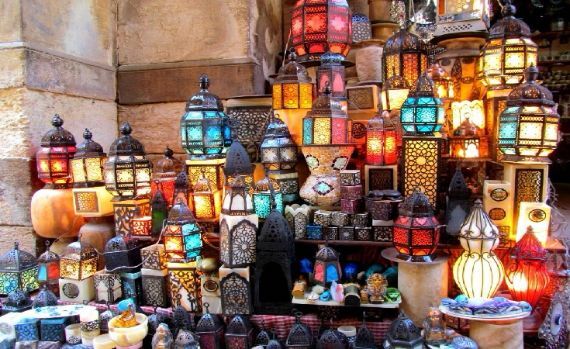 Ramadan lanterns are accessories Ramadan that may be also called fanoos in the singular (فانوس) meaning lamp or light in Arabic. The word itself was probably adopted from the Coptic/Greek word hanos which means light or lantern… later it was transliterated to “candle”. 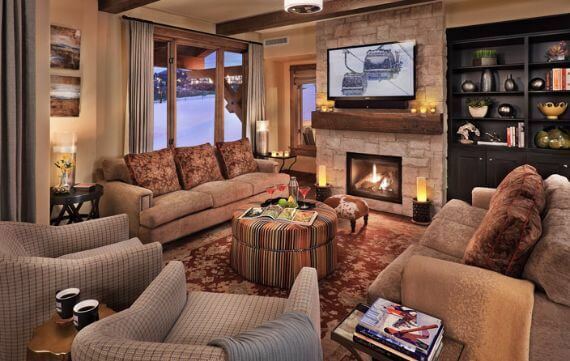 Any candle or lantern was indicated for a symbol of hope to light the way from the darkness. 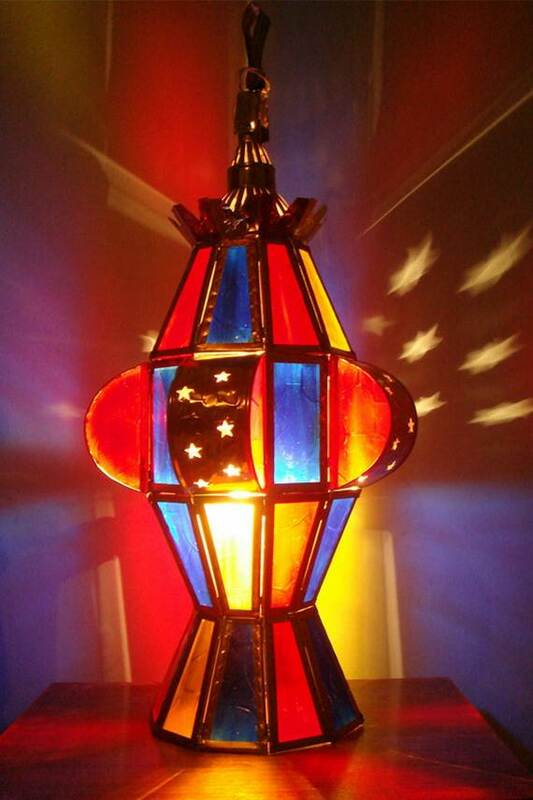 Ramadan lanterns are decorative lanterns crafted specifically for the holy month. 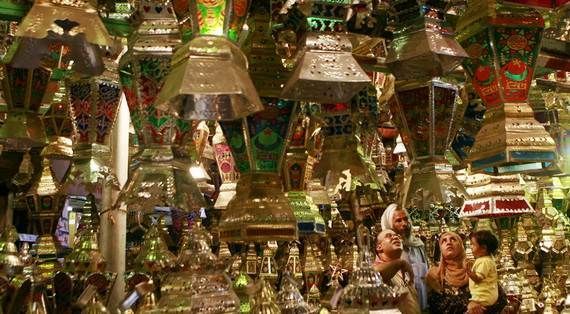 In a place like Egypt, lanterns and lamps have always been special to the Egyptians. 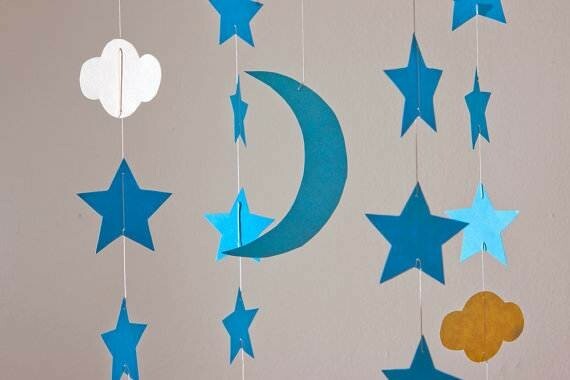 They are signs that Ramadan is near and common sight during the 30 days of Ramadan. 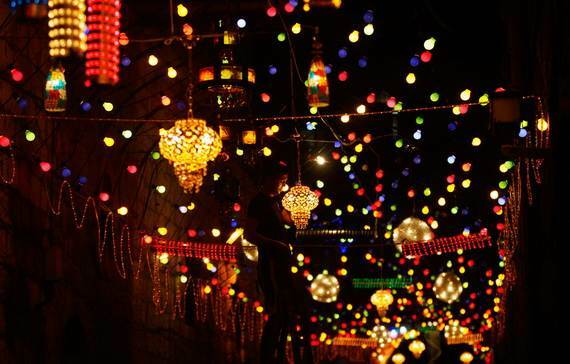 The whole country goes through a remarkable transformation throughout the whole month of Ramadan. It is clearly displayed the importance of this month that you later -after the 30 days of Ramadan- miss the sign of Ramadan. 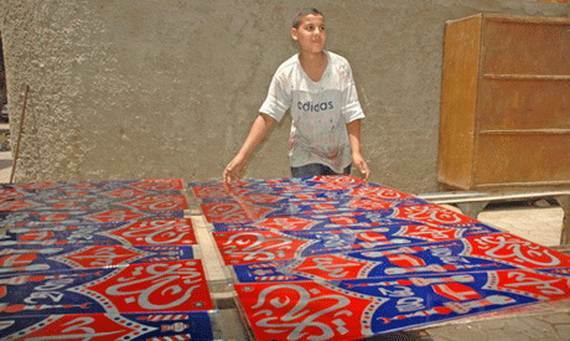 Fanoos Ramadan is crafted in a special way to merge between Egyptian folklore and Islamic designs. 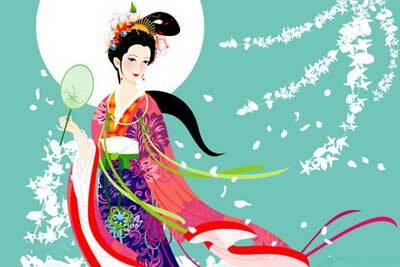 Lanterns of all sorts are hung throughout the city; in the streets decorating cafes, store fronts, and homes. These lanterns are hung from the windows and balconies, on ropes across alleyways, the city glows with them creating beautiful sea of light and colors, creating a beautiful and magical atmosphere. 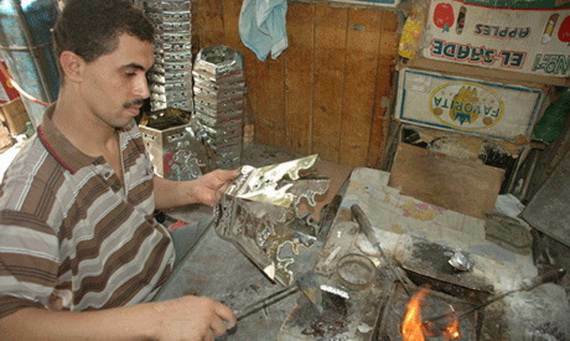 It is hard or nearly impossible to find a street in Egypt without a fanous. In fact in the weeks leading up to Ramadan you can find them displayed for sale on either side. 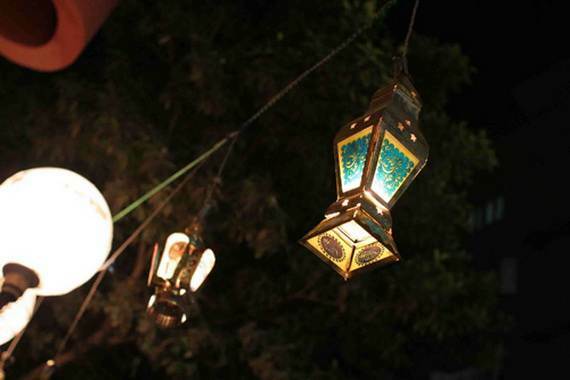 These lanterns for Muslims are often the centerpiece of the table during Iftar. 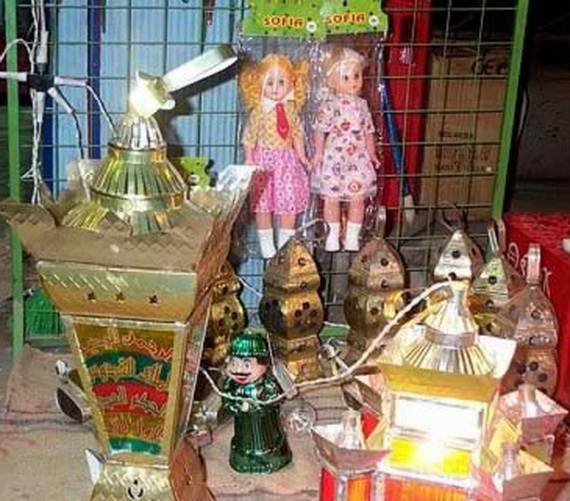 Now Fanous Ramadan is frequently made from recycled tin cans, plastic lanterns or colored-glass used mainly during the holy month of Ramadan. Many lanterns whatever they are made from or their shapes have singing records playing traditional Ramadan songs, which runs on batteries and has flashes and colorful lights. 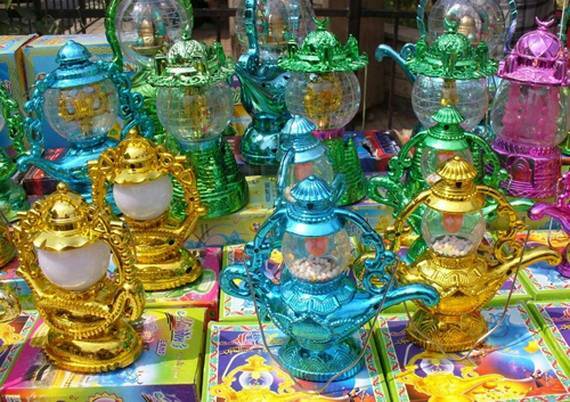 But copper lanterns with colored-glass still remain quite popular. 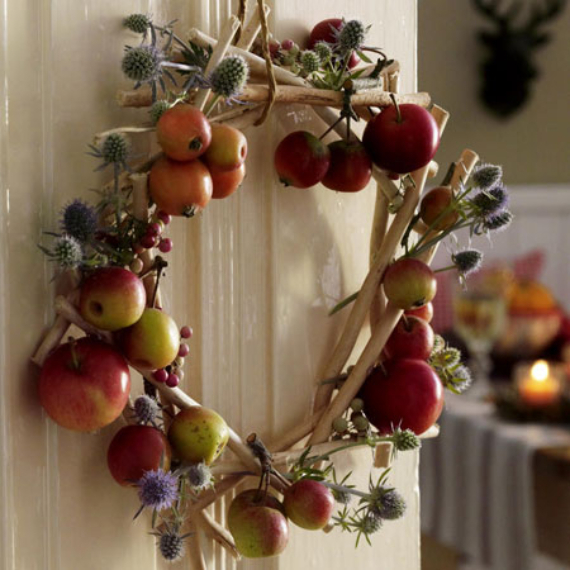 No matter what they look like or made from, still they are the main symbols of the holy month. Ramadan to the Egyptians it’s the magical month. 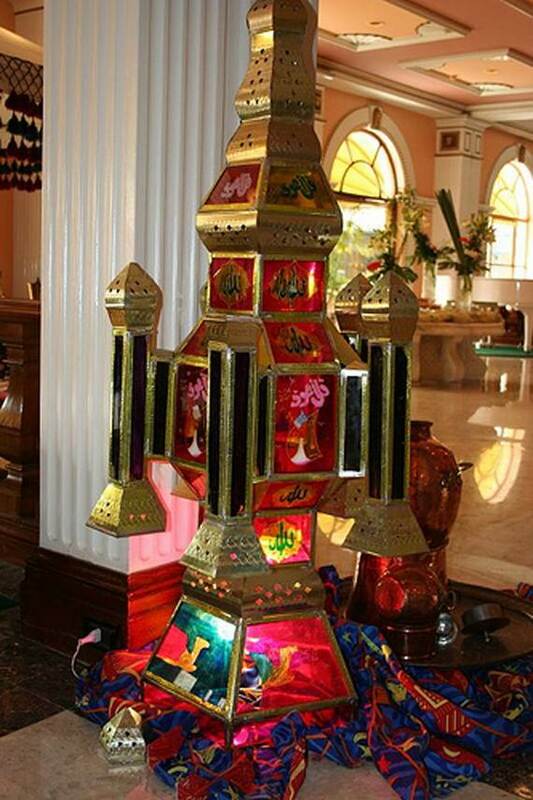 One of these strong magical traditions is Fanous Ramadan (the Ramadan lantern) (Fawanees, sg. 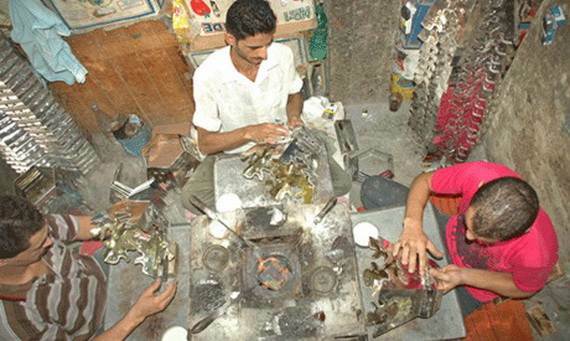 Fanoos or Fanus). 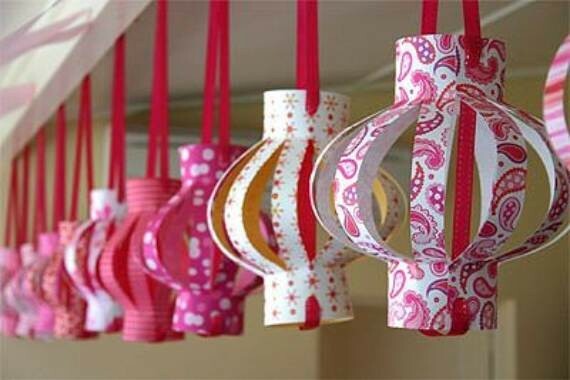 Lanterns became the Symbol of Ramadan (As the Christmas Tree in Christmas) and an essential part of Ramadan’s magical atmosphere in Egypt. 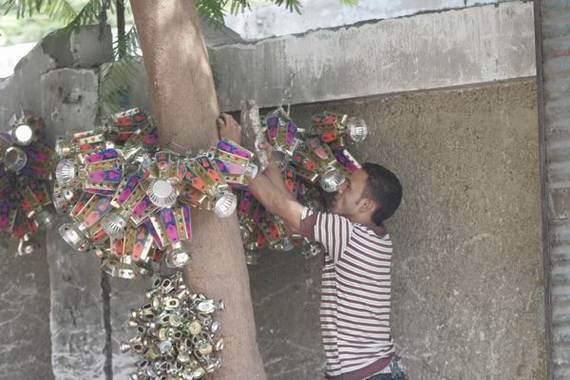 A typical of Egyptian celebrations, not only in Egypt but have spread in other Arab Countries as well although it has no intrinsic link to religion. 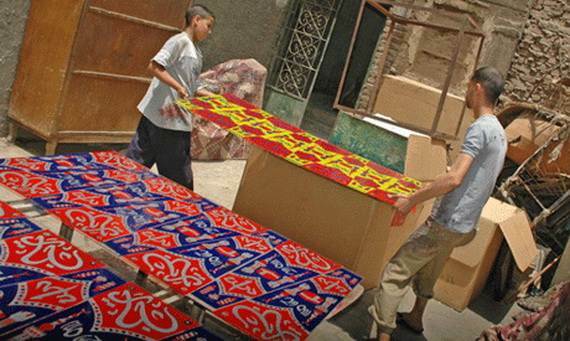 Ramadan Fanoos ‎ is being practiced in other Islamic countries as well. It became one of the most prominent inspirational symbols depicting Ramadan’s begging and presence despite the fact its use is not related to religious rituals but it is a symbol of joy and lovable tradition in Ramadan. 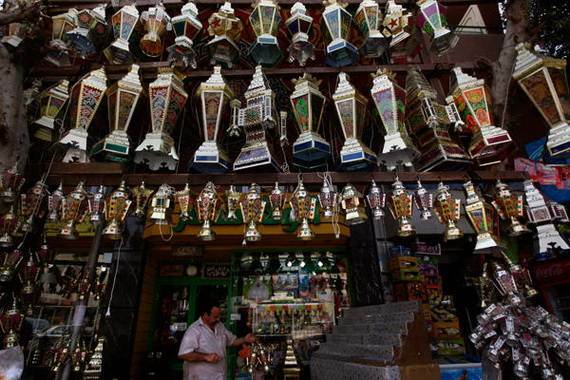 Lantern decorates most of the Egyptian streets among the unique aspects of Ramadan as it is accompanied with all the mysterious traditions that have become associated with Ramadan, often has no intrinsic link to religion and are even incompatible with Islam. A century or so ago gas lanterns were seen in every house. 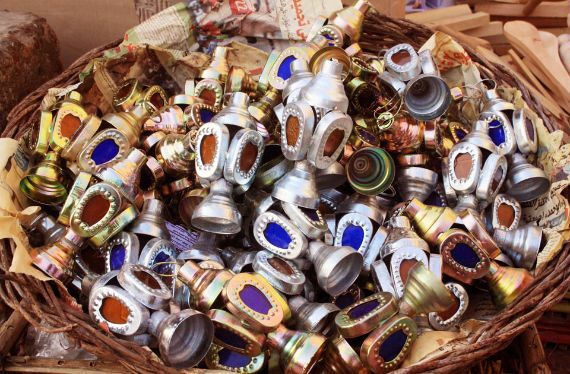 Egyptians are considered to be the first who invented Ramadan’s lantern during the Fatimid period, and they themselves are the main source of hand-made fanous all around the world and especially to the Arab and Islamic after they were introduced. 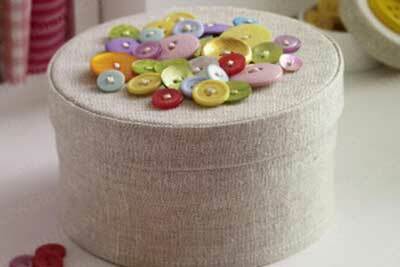 These hand-made fanous are made from metal: copper, iron, bronze, tinplate etc. 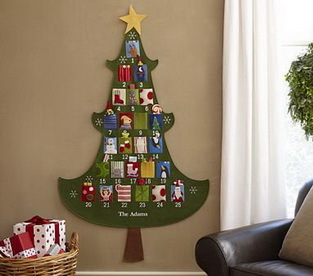 It can be made from wood too with Islamic-style decorations to be one of the traditional Ramadan decorations. 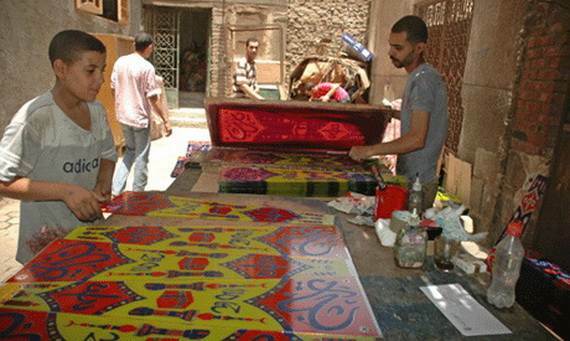 Many handicraft professions are found in a specific neighborhood in Cairo called Sayeda Zeinab, Al-Attaba and Al-Mosqy Square. 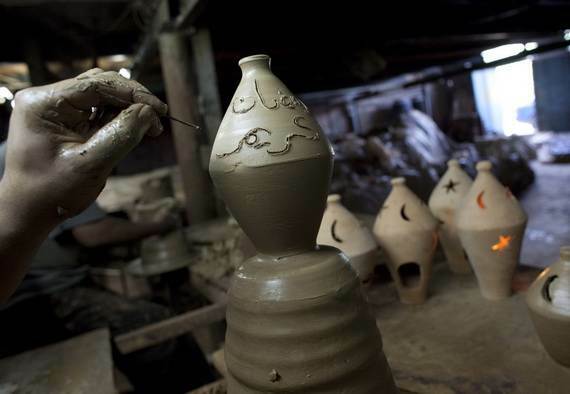 They have inherited A CRAFT THAT NEEDS PATIENCE down from generation to generation since the era of the Fatimids and then continued since that time to date. 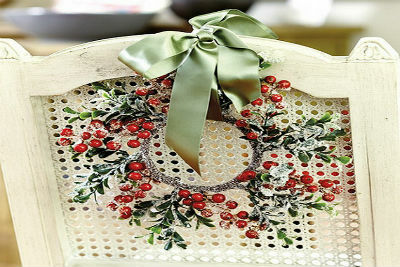 These handicraft professions are elderly people mainly are famous with their patience and hard work. 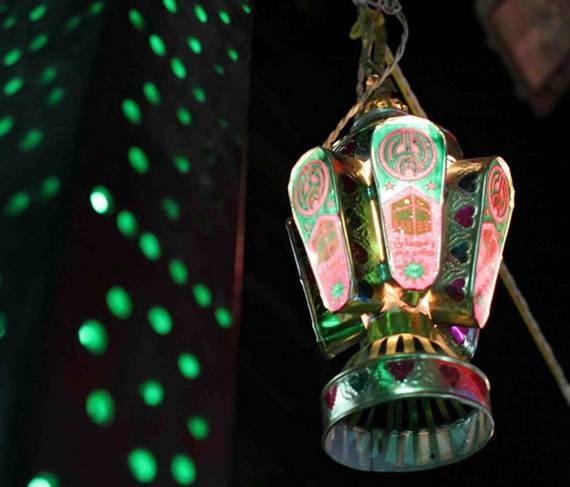 In the workshops you’ll find the creation of the hand-made fanous of many traditional styles which starts from designing the shape, to the colors, and the size and finally the final phase ‎of Fanous Ramadan with its created appearance that still faces the invasion of Chinese lanterns. 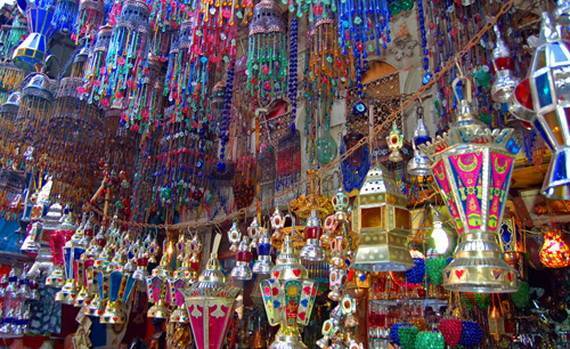 Fanous Ramadan is of various kinds, in many shapes, materials and colors. 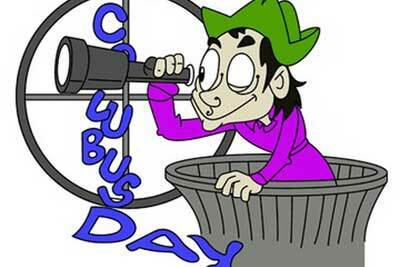 It is also of many hues and degrees of brightness, and even both real and imaginary. 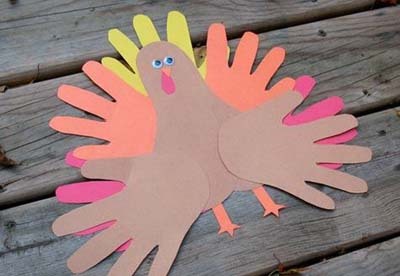 Every year there are new generations of fanous with different designs, shapes, and colors. 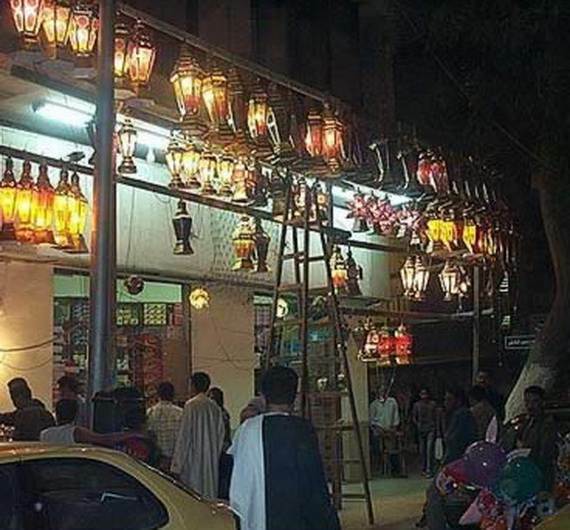 Nowadays, every house in Egypt makes sure to buy at least one lantern spiritually for Ramadan entrance. 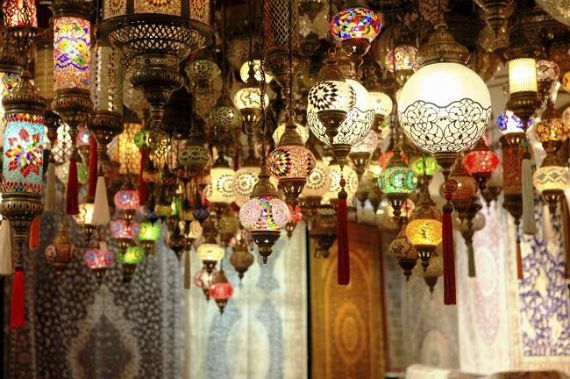 But there is always one big question about Fanous Ramadan…does the makers and buyers ever wondered about the origin behind Fanous Ramadan neither the origin of the lantern itself. 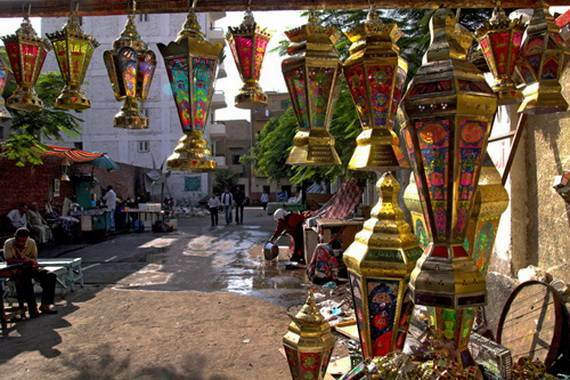 Sources suggest that the present tradition of Ramadan lanterns dates from the rule of Saladin (1174-1193 AD). 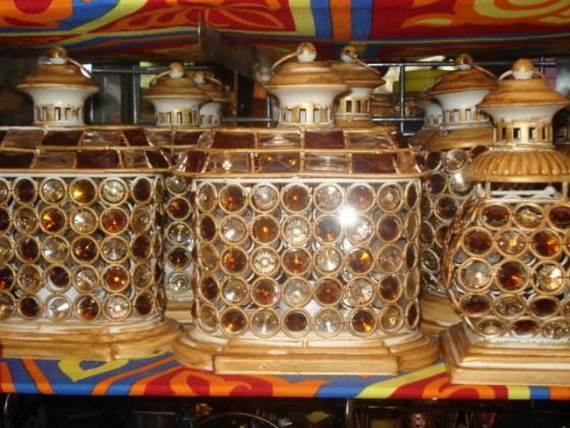 Lantern designs were copied from the Qanadil and Mishkat (lamps) of Mosques. 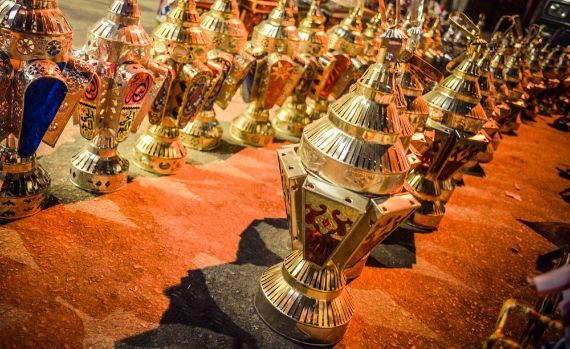 But may have an earlier tradition, attributing its development to the Fatimid caliphate in the year 968 when Fatimid leader Al-Muizz li-Din Allah entered Egypt on 15 Ramadan of 358 AH, and Egyptians greeted him with lamps and torches. In order to shield the candles from the wind, some of them placed the candles on a wooden platform and wrapped the platform with palm fronds and leather. Others attributed its development to the the Fatimid Caliph Al Hakim Bi-Amr Illah would check for the moon marking the beginning of the holy month accompanied by children who lit his way with lanterns while singing songs. 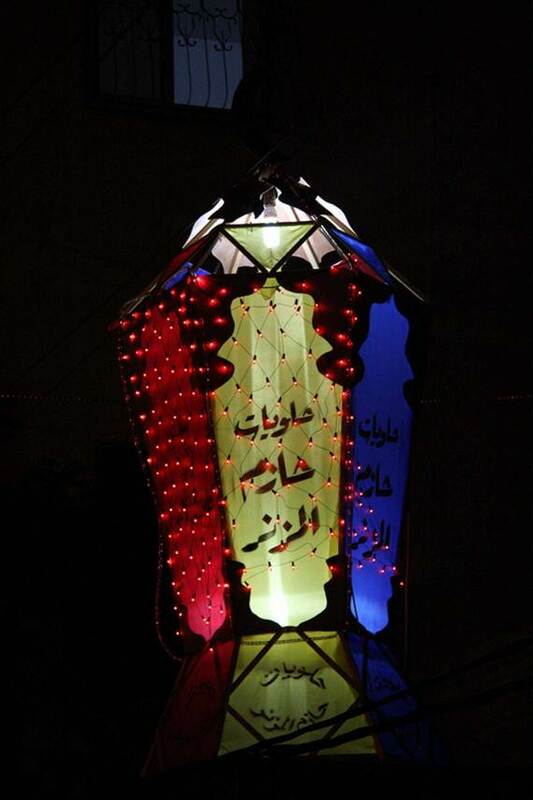 How did the Ramadan lantern –fanous– become a symbol of the holy month? 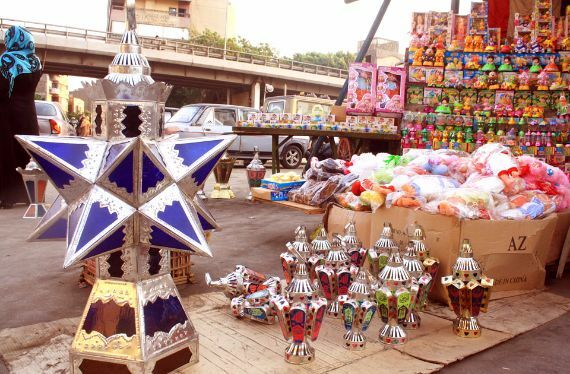 Origins of the Ramadan lantern …Fanous Ramadan is more than just a lantern; it is a thousand-year-old Egyptian tradition perhaps as long ago as pharaonic times, when it may have announced the Nile flood but it is very popular during Ramadan, a symbol of joy and lovable tradition in the new Ramadan. 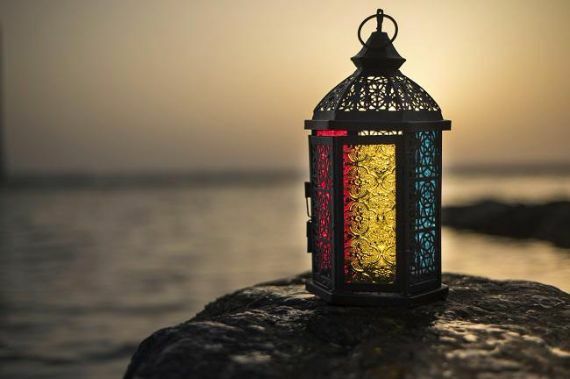 There are many stories and ancient folklores about the origins of the lanterns and the beginning of its use; but it was never clear when the custom became associated with Ramadan. 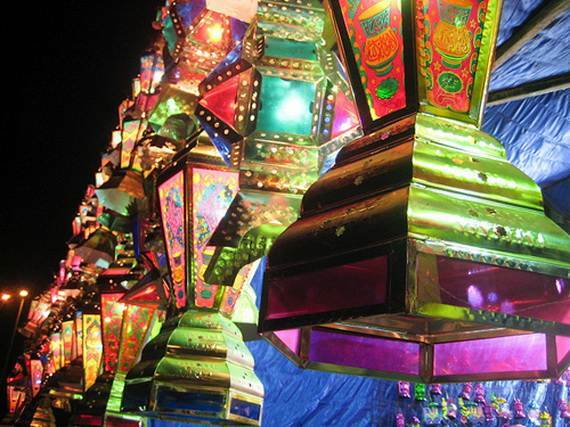 Many costumes agree about the time period of the lantern being associated with Ramadan. 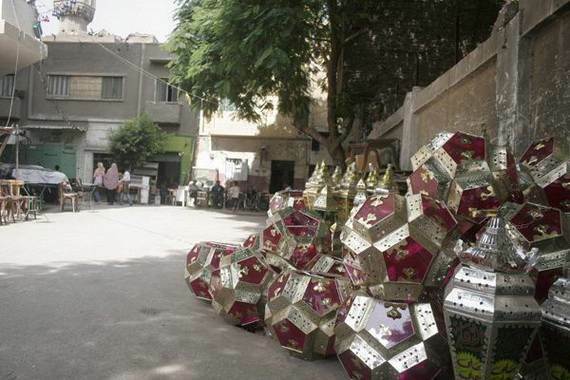 It is the Fatimid’s who the first to introduce lanterns to Egyptian culture and were Cairo was the birthplace of the fanoos as we know it today. 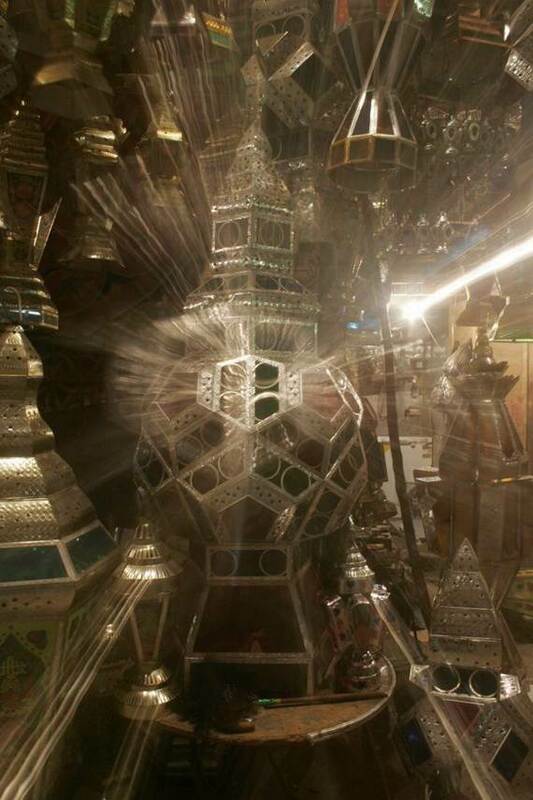 “Before 358 AH during the Fatimid dynasty, lanterns were just constricted only to walk around at night with, and to walk to the mosque at done. Others attributed its development to the Fatimid Caliph Al Hakim Bi-Amr Illah would check for the moon marking the beginning of the holy month accompanied by children who lit his way with lanterns while singing songs to see the moon more clearly. 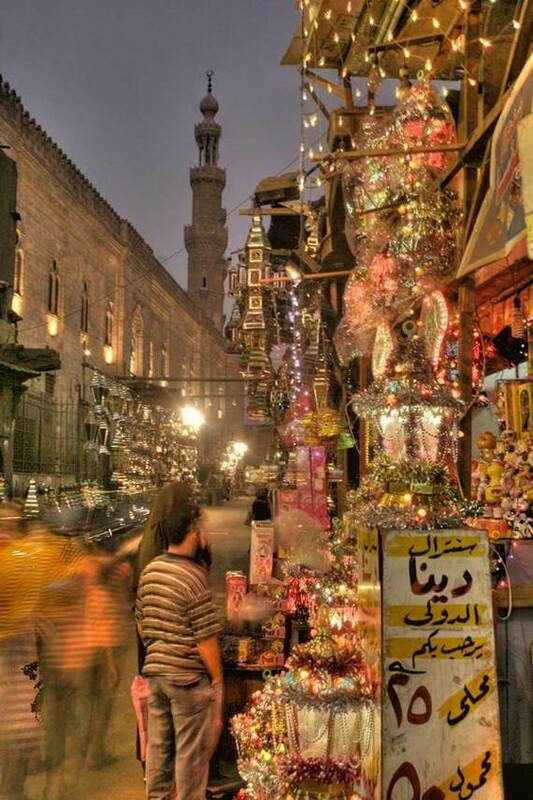 Back in the day, when people saw their Caliph walking the streets of Cairo at night with his fanous, they enthusiastically waited for the start of the magnificent Ramadan month. Later Fatimid Caliph Al Hakim Bi-Amr Illah enamored with the idea of the lanterns lit in the streets he ordered all mosque Imams in Egypt to hang fawanees (lanterns) that could be lit by candles in front of it at iftar as an indication for Muslims to break their fasts and to brighten up the streets. 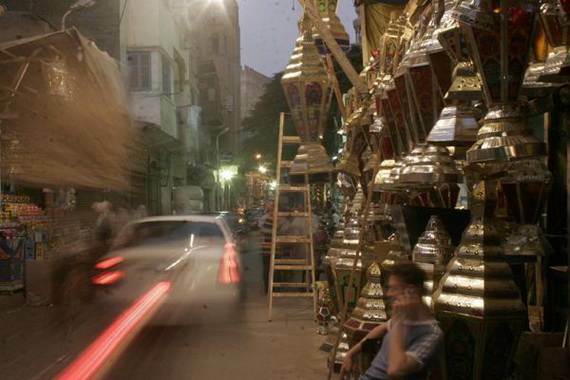 One story, the strangest one goes back in the Fatimid era and articulate the origin of the lanterns, says that Fatimid caliph al-Hakim bil-‘Amr Allah who wanted the streets of Cairo illuminated during the nights for safety reasons that he had forbidden for women from leaving their homes at night. 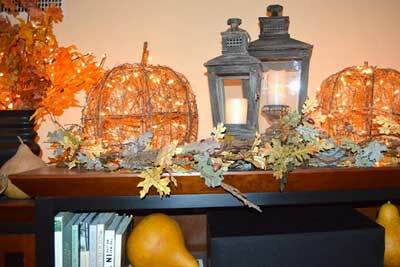 During his reign lanterns were being used as a safety tools for women. 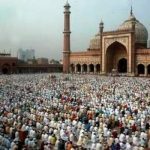 Women were only excluded in the month of Ramadan were only allowed to go outside their homes at night for prayer or for regular mutual visits. 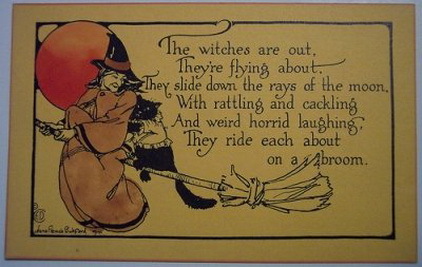 Even then, they would be escorted at night accompanied by a male member of the family, as a young boy had to walk ahead of the woman holding fanous to illuminate the road for the women and to announce men that she would be passing by along the street and to leave space for her. It is said, that once al-Hakim’s reign ended the laws against women softened, and women were allowed to go about their affairs as they wished in a more relaxed way. Fatimid caliph al-Hakim bil-‘Amr Allah also had a law being held requiring shop owners and every neighborhood should have a lantern hung at its entrance, mosques and shops. 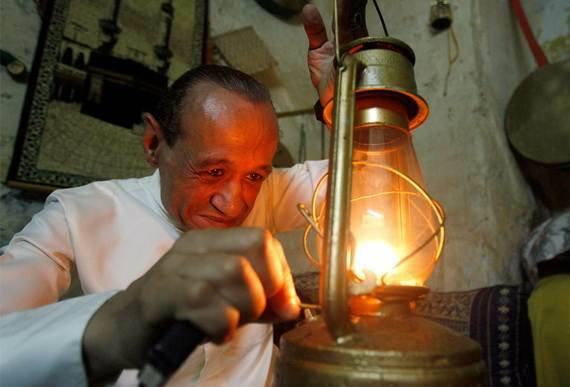 Ramadan was a great occasion for people who owned homes to clean in front of their property and its streets beside keeping a lit lantern hanging on their door all night guiding the way and keeping passengers safe. 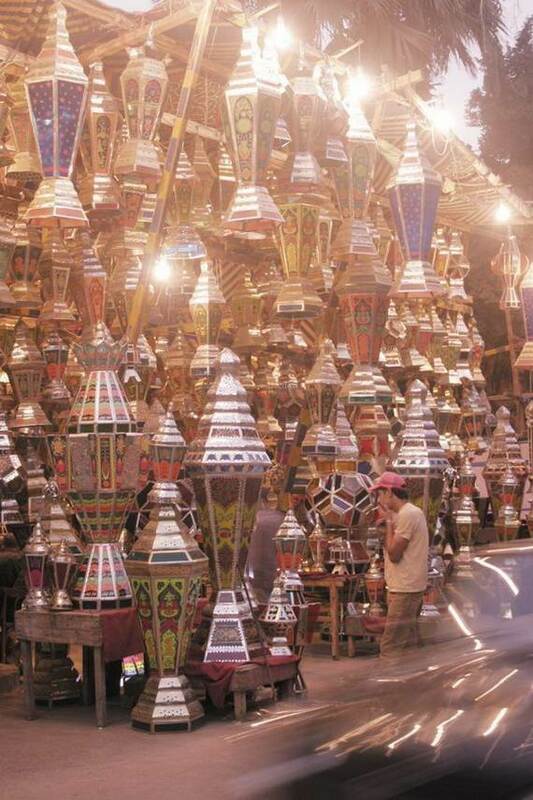 Since that time, the fanous lanterns and lamps have always been special to Egypt. 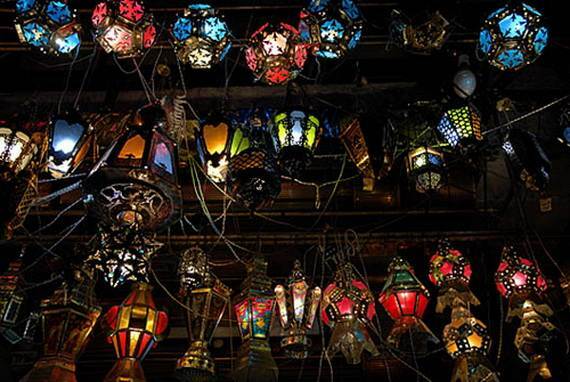 Before the coming of electricity, Cairo itself was noted for its spectacular use of lanterns to illuminate the city, especially during the holy month of Ramadan. Many stories of their origins have been told; the fanous one might be according to some scholars was developed in the Pharaonic festivals celebrating the rising of the star Sirius. 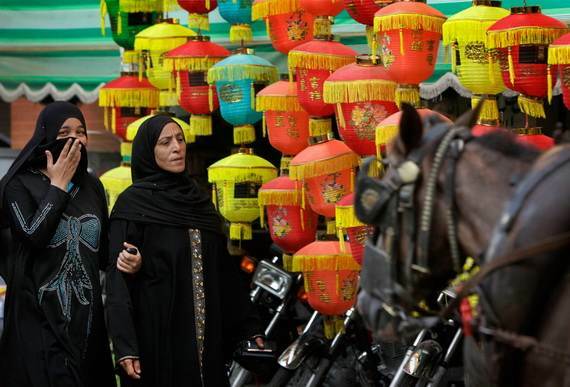 Another story even relates that the lanterns came from a completely different religion. 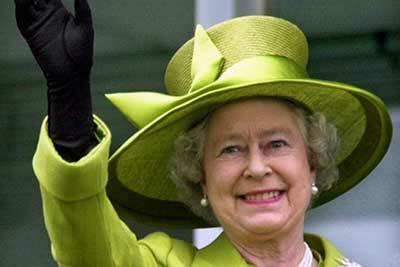 Christians and Jews also use light to celebrate major festivities. 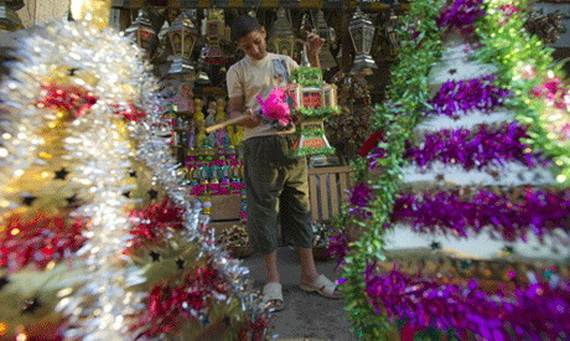 Some believe it may be originated a Coptic Christian tradition celebrated during Christmas time (Coptic version), where people used to parade with colorful candles. 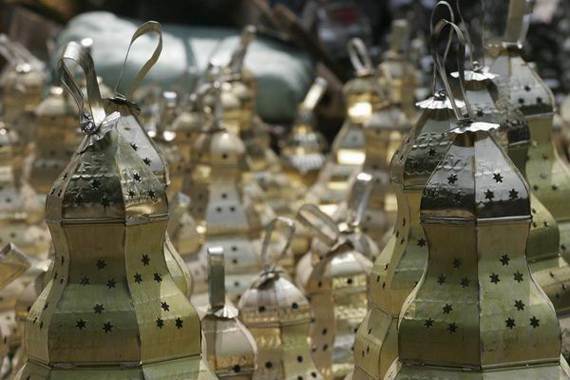 This story explains that, as many Christians converted to Islam, they took this tradition with them in the form of lanterns made of tin and lit with candles. 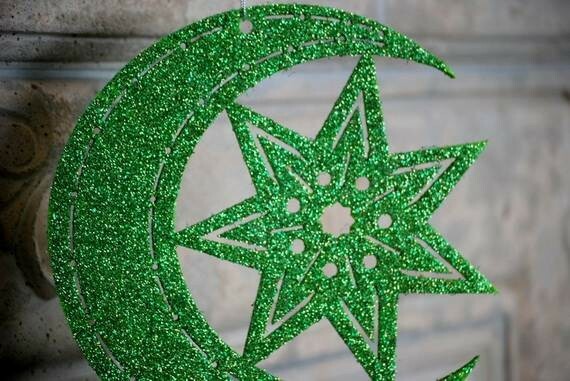 Regardless of these stories, the Fanoos remains a very unique symbol of Ramadan to Muslims and Christians alike. 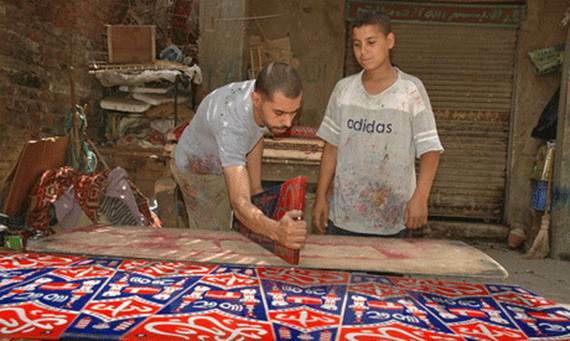 It has passed from generation to generation, and is today explicitly associated with children and had turned into a popular legacy in Egypt. Because all the nighttime in Ramadan requires much activity which would have required lighting till done when people start for a heavy meal, called sahuur (سحور), preparing for the fasting for the coming day. 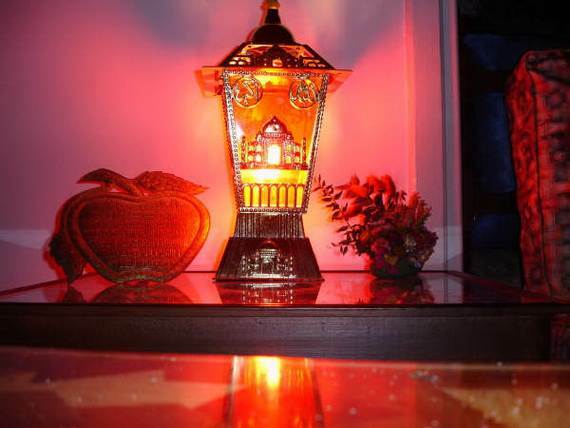 Nowadays it’s popular image when Ramadan comes nearer and nearer, children become more insistent about having a lantern, Ramadan lantern is normally associated with them. 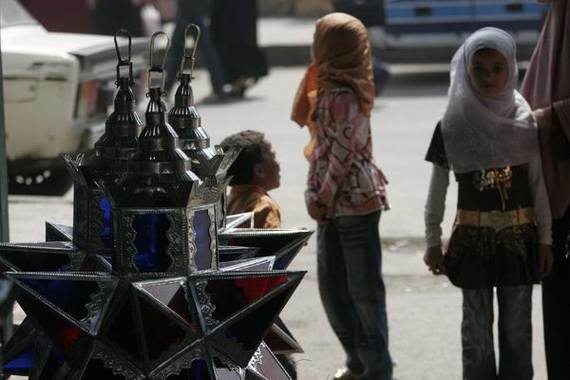 Children playing out in the streets during Ramadan, happily swinging and singing with their Fawanees asking for nuts and sweets and to sing and listen to stories, singing a nonce rhyme in colloquial Egyptian Arabic “wahawi ya wahawi iyyaha,” which is believed to be an old pharaonic song to the moon deity. 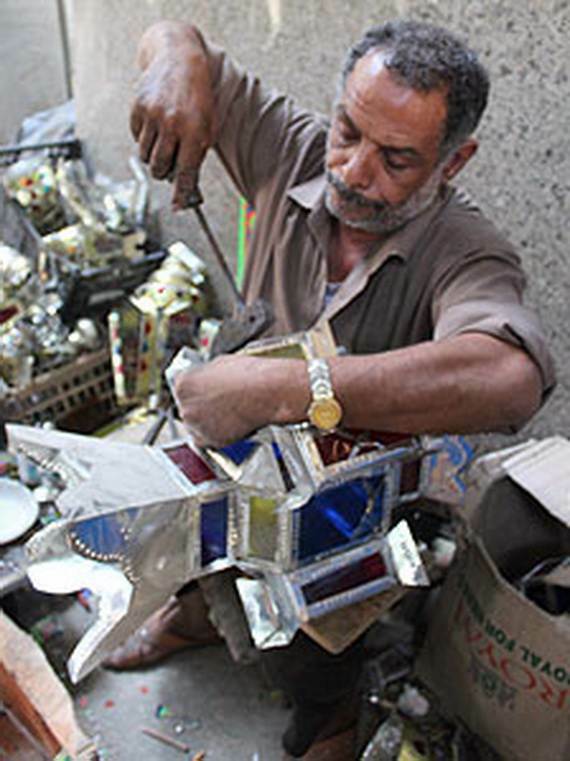 That’s why, before the coming Ramadan, Lanterns workshop and local artists in Old Cairo begin their handmade works, new creative designs in tin and colored glass are created to commemorate special events sharing a bit of childhood magic. 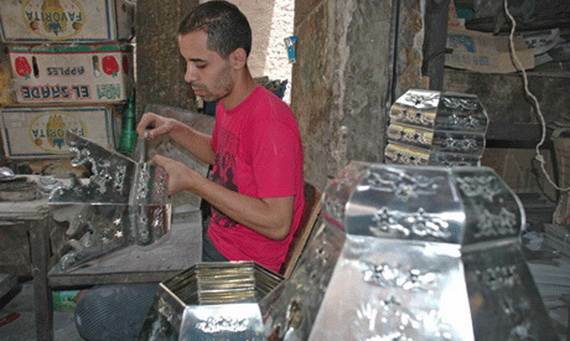 Exactly one week before Ramadan, beautiful Lanterns are on the Shelves in Shops and old Egypt streets are transformed into workshops for tinsmiths to produce as many Fawanees as possible. 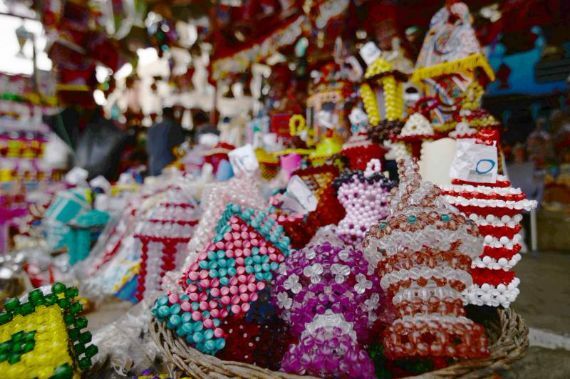 Today, the little ones are still parading in the streets, swinging their Fawanees, going from door to door singing “wahawi ya wahawi ” in the crowded streets of Cairo while asking for gifts and candy. The whole song is like this Wahawi ya Wahawi , Iyuha, Ruht ya Shaban , Wi Gheet ya Ramadan, Iyuha.Bint el Sultan, IyuhaLabsa el Guftan, IyuhaYalla ya Ghaffar, Iduna el Idiya, Yalla ya Ghafar. 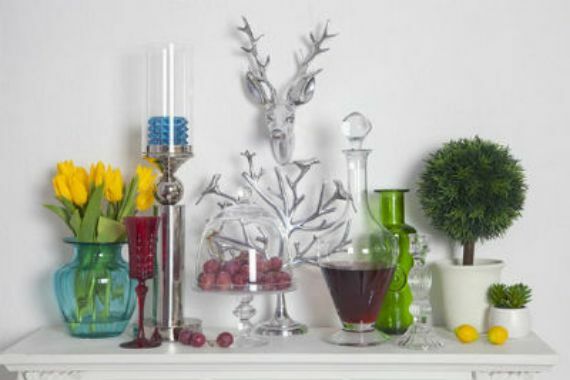 Ramadan celebration is traditional and the final word goes to the old traditions where Ramadan decor is concerned which are to stick to the regular old Islamic designs. 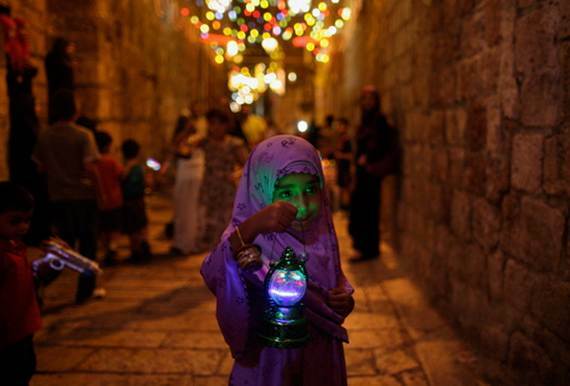 Another Ramadan is here, so go out, buy a nice lantern and celebrate!